Q. I'm 5.3 feet height, is it comfortable to ride for me? Q. Does it have rear wheel lift off protection along with ABS? Sorry to inform you that rear lift off protection is not there in this bike whereas ABS is available. Q. I'm 5.6 ft, is FZ or FZ S V3 suitable for me? Do I looking small on this bike? Yes, it would be comfortable for you to ride. But to know more about this we suggest you take a test ride of the vehicle and then decide. Q. I face handle lock issue FZ FI V3 can i adjust myself? Q. I heard that from of the users of FZ that the machine will start giving problems very soon, because i am planning to buy it, please let me know sincerely. Not at all. It all depends on how u ride and maintain. Its a machine. And every machine needs maintenance. Q. I'm 6.3 feet, is it okay for tall riders like me? Q. What is the meaning of single channel ABS? Q. Is it comfortable for a person with height 5 ft? Q. Should I buy FZ S FI or TVS Apache RTR 160 4V? Q. Which is best between FZ V2 and FZ V3? Q. Which is good to buy, FZ Fi V3 and FZ-S Fi V3? Q. I want to buy a bike under 70-80K budget. your choice out of Unicorn, Pulsar 150 ,CB Shine or FZ-FI? Q. What is the price of Yamaha FZ-Fi Version 3.0? Q. What is the mileage of Yamaha FZ-Fi Version 3.0? Q. 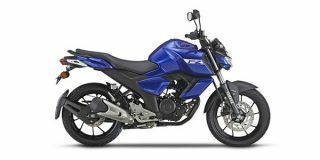 What are the specs and features of Yamaha FZ-Fi Version 3.0? Q. What are the top competitors of Yamaha FZ-Fi Version 3.0? Q. What are the top variants of Yamaha FZ-Fi Version 3.0? Q. What is the EMI of Yamaha FZ-Fi Version 3.0? Q. 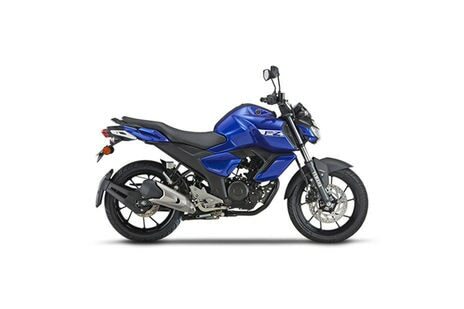 What are the colours available in Yamaha FZ-Fi Version 3.0? Q. What is the top speed of Yamaha FZ-Fi Version 3.0?